arc -- tons of gratitude to Paul at Soho Crime for my copy. I know I should probably wait until January to post my discussion about this book, but it's close enough now, and just maybe someone might be thinking of pre-ordering this book for a Christmas gift. What the hey, right? I feel so lucky having received an advanced copy of this book! When the word came down that Soho was publishing this book, I was happy; when I got an email for the review copy, I was ecstatic. Helene Tursten has long been one of my favorite Scandinavian crime writers, and Irene Huss one of my favorite Nordic police detectives. To be honest, I've given up on a lot of Scandinavian crime writers but she's one of the few authors whose books I pick up as soon as they hit the shelves. The Fire Dance splits time periods -- the first, from 1989-1990, when Irene has been with the department only a month. Her girls are very young, and husband Krister is grateful for his 30-hour/wk part-time job. A difficult case found its way into her lap when after three months, a young girl named Sophie Malmborg, possible witness to a fire at her home that killed a man, has been unwilling to speak for three months. Despite the best efforts of professionals, Sophie will not talk. Irene's boss, Sven Andersson, figures that since Irene is a woman with small children, she might have much more luck getting Sophie to say something. She gets plenty from all of the other people in Sophie's life, but Sophie still isn't talking. With no further clues, and with other cases coming up, the case goes cold, and life moves on. Flash forward to 2004 -- fifteen years after the house fire, Sophie is dead, after having disappeared for three weeks. Irene now has only very meager clues, but several suspects, and as was the case fifteen years earlier she's needed on another big case and time is growing short. In the meantime, things are happening on the home front that will require her attention. 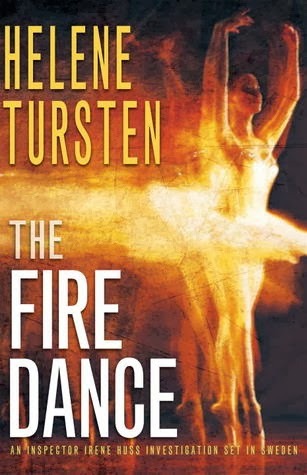 Helene Tursten is always able to provide her armchair-detective readers with a solid mystery to ponder, and that is certainly the case in The Fire Dance. Irene must rely on the fifteen-year old unsolved case to make any headway in the present, and the way Tursten sets up this up case gives it kind of an eerie turn. She also does a fine job in conveying Irene's devotion both to the job and her family, and does so a way that never seems forced. I could do with less of the dog (I think I say that about every Irene Huss novel) and the emphasis on the food choices made by the vegan daughter, but otherwise, I appreciate this aspect of Tursten's series. While I didn't find it as edgy or as solid as her book The Torso, my favorite of the series, The Fire Dance still very much pleased my picky crime-fiction reader self. All I would say in the negative zone is that I would have loved to have seen less cute and more edge. But that's a personal thing. Regular followers of this series will not be disappointed; probably not a good read for hardboiled, noir or cozy crime readers; more for those who enjoy solid police procedurals with a personal twist. As my list of favorite Scandinavian crime writers is dwindling, I'm am so happy to have found this series, and I'm even happier that Soho continues to publish them for American readers. Yes! Great! Good to hear about a new Irene Huss book. Helene Tursten's books are priorities in my reading, so I'll hope the library gets this in fairly soon. Anyway, I'll add it to the TBR list. Also, thanks for the books. They will be circulated. You're welcome! I will probably have more shortly, after the first of the year. I love Irene Huss -- this may not be as edgy as The Torso, but I never pass up a chance to read anything Helene Tursten writes. Your comment regarding being disappointed recently with some Scandinavian crime writers tweaked my interest. Anything in particular? I've only tried one Tursten and wasn't really thrilled, although I'm a big fan of the police procedural. Based on your review, I'll give her another chance. If you try her again, read The Torso. It's the edgiest, best police procedural that she's ever written. This book is good, but not her best. Re Scandinavian crime writers: too many Scandinavian crime fiction novels nowadays are filled with romance and the stuff of women's fiction which I do NOT like -- I mean, if you think about the series by Sjowall & Wahloo, or the Henning Mankell books, or Arnaldur Indridason, Hakan Nesser -- you know, the older stuff, the women-fiction stuff just doesn't cut it for me. There are current authors I like as well, like Roslund and Hellstrom, Johan Theorin, and of course Jo Nesbo, but for the most part, there's starting to be a lot of really good stuff out of Poland, Italy and elsewhere that is as good as the older Scandinavian crime. I meant that as compared to Sjowall& Wahloo, Mankell, Indridason, etc. 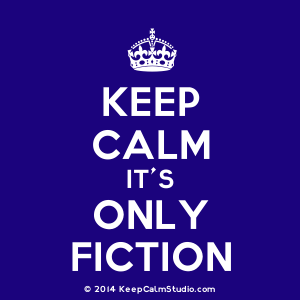 the newer stuff filled with the women's fiction-y stuff just doesn't cut it for me.